You are here: Home / Apple Inc / Can Apple Still Make Pro Hardware? For many years, Apple was at the top of the creative pro hardware world. Digital artists, animators, 3D modelers, photographers, game designers and developers all seemed to prefer Apple devices, reinforcing the brand’s prominence as the fancy creative brand. Some of the best creative software ran on Macs only, and there was a broad ecosystem of hardware and software tools to help professionals that required significant computing power. 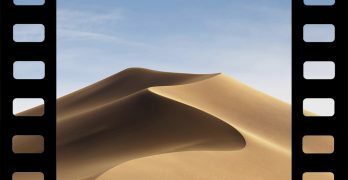 macOS catered to users that wanted a capable operating system designed with the user’s comfort in mind, rather than Windows’ hodge-podge of poorly connected design elements, user interface quirks, and ungainly text rendering. It appealed to the aesthetically astute and offered significant advantages over Windows’ apparent awkwardness. But as time wore on, Apple lost some of its gleam in the eyes of creative professionals. Hardware has aged badly. Updates have been slow in coming. The product line has become twisted and confusing. Can Apple return to their former glory and make great pro hardware again? With any discussion of pro hardware comes the task of defining what “pro” actually means. Simply taking it to mean “professional” isn’t very instructive. Computer users of all levels of capability and need employ computers in their professional lives, from the most fumbling corporate user to the most skilled digital animator. With these different professions comes a vast difference in computational needs. Building the perfect product for professional corporate life is quite different from building the perfect product for Pixar or even Apple itself. In the parlance of most Apple analyst, pro often applies to users that meet a nebulous definition of “need” for a certain amount of computing power. They have the most computationally challenging tasks and the most rigorous demands for their hardware. And while this shoe certainly fits, it’s a restrictive label. 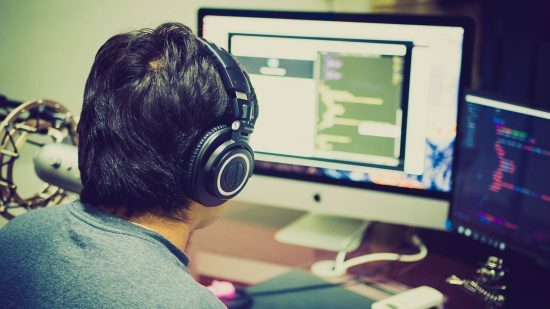 What about power users that don’t “need” powerful hardware, like front-end developers or still photographers, but could benefit from expanded capabilities? Are they left to languish with the 12-inch MacBook, straining hopelessly against the limitations of a single USB-C port and a smartphone-class processor? Of course not. A more apt label for “pro” is a more relative one. Would your job be easier with more powerful computing hardware? Then you fit into the pro classification. This covers essentially everyone who makes something with a computer beyond simple word processing or document management. It’s a large group, to be sure, but more inclusive. It is based on the user’s own judgment of their needs. Such self-classification makes more sense than some third-party quantification of “need” measuring your worthiness to use Apple’s pro hardware. What Does Apple Call a Pro? But the judgment of outsiders like ourselves is somewhat superfluous. When Apple talks about “pros,” what do they mean? Looking at Apple’s (somewhat chaotic) hardware line, we can try to glean a definition of Pro in the company’s eyes. It would seem that Apple’s own definition of “pro” is closer to our second try than the first. It’s a broad classification based not on specific workflow or task requirements, but the desire for more capable hardware. We can deduce that the Pro label in Apple’s lineup describes hardware, rather than the user. Across device classes, Apple’s Pro hardware is the most capable and expensive. The high end of Apple’s computational offerings, from iPad to iMac, are united under the Pro moniker. These devices are designed to appeal to the traditional creative core of Apple’s pro market, but also to skilled average users that don’t want to deal with hardware limitations. And even by that definition, Apple has sometimes failed to meet user expectations with recent Pro hardware launches. The eagerly-awaited MacBook Pro of 2016 was a mixed bag. It offered long-awaited hardware upgrades but was limited by other design choices. The keyboard has almost no travel. The Touch Bar seems a useless extravagance. The thermal design forces fans to whir loudly under even moderate load. The limited connectivity options have forced users to lug dongles along with their device. The power adapter requires third-party cable management to easily transport. Memory is limited to 16GB, just barely enough for some professional workflows. The device comes with benefits, of course, but in retrospect, it seems something of a disappointment. 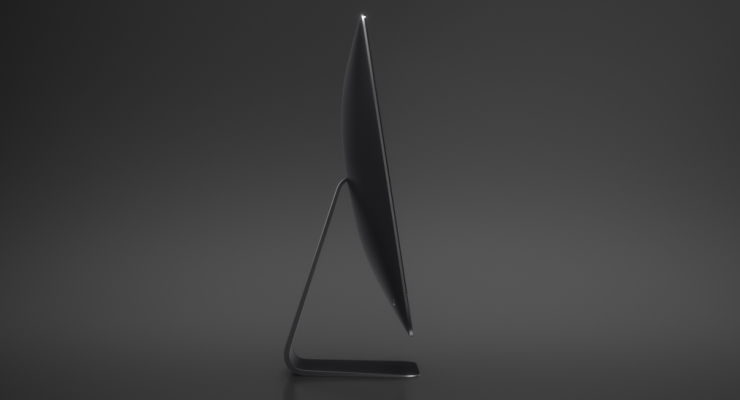 The iMac Pro, however, offers glimpses of a brighter future. 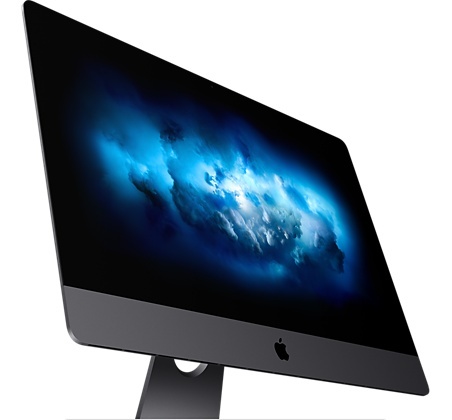 It includes high-end processing and graphics capability, enormous RAM capacity, multiple connectivity types, a gorgeous built-in display and little in the way of extravagant gimmicks. It also comes in True Professional Dark Color. Apple is also well into the process of developing a new Mac Pro. 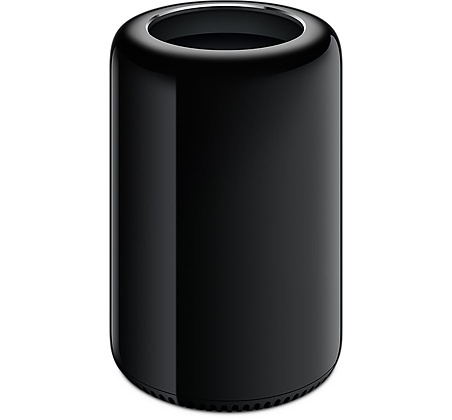 The “trashcan” Mac Pro was tantalizing (if unusual) when it launched in 2012. But it received virtually no updates or price breaks over the course of its life. It became gradually less appealing and, as professional need to upgrade mounted, an embarrassing liability for Apple’s aging Pro product line. Could a new Mac Pro turn this all around? Perhaps. But some signs are troubling. When announcing that the Mac Pro would be delayed until 2019, Apple also announced that it had convened a professional workflow team to examine the requirements of professional users and build a machine uniquely suited to them. This hardly seemed a revelation, however. 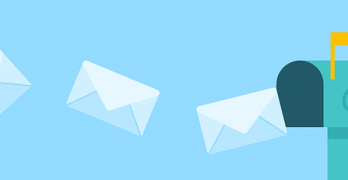 Some users quipped on Twitter that Apple had finally discovered the basic user acceptance testing that developers have long been acquainted with. While asking for feedback from customers shouldn’t be interpreted as a bad sign, what happened to the confident Apple of yore? Where is the Apple that knew what users wanted before they wanted it, that Apple that released the best hardware and software creative professionals could find? We hope that, with the release of the Mac Pro in 2019, Apple will triumphantly return to its former skill and confidence. But even if it does, will it be too late for pro users that have waited seven years for an update to Apple’s top-end desktop computer? We hope not, but the wind blows in an ominous direction. I’m still waiting on the iMac Pro. The Mac Pro was a great machine in 2013. The problem was that it wasn’t upgradable–by Apple–without redesigning it. The “Thermal Envelope” could not handle the newer processors and other innovations from Intel. Redesigning the casing and such is expensive, both from a production and development standpoint. I’m a bit worried that Apple didn’t learn this lesson. They claim to have, but I don’t trust them like I used to. So I’ll wait until the second half of 2018, when Intel is expected to be shipping it’s latest Xeons and see how quickly Apple manages to update the iMac Pro to use them. As I’ve said, if I’m plunking down $5000 for a computer, it better have the latest and greatest of everything. I’m not spending that kind of money for 2 year-old technology. “The [MacBook Pro] device comes with benefits, of course, but in retrospect, it seems something of a disappointment.” Disappointment is an understatement. Apple apparently failed to actually ask some pros what they needed. But it sure is purty! Now they are being all proud of the fact they’ve called in some actual professionals so they might observe their workflow. Like this is the first time in over three decades they thought of this? How innovative! You can bet said professional workflow will not be allowed to impinge on the primacy of aesthetics, however. Repairability (and the related upgradeability) counts, too. Professional implies that a person earns their living from use of the tools. So downtime is intolerable. Imagine a carpenter who has to be sidelined for a week while she sends her hammer in to the manufacturer for a handle replacement! But we’re expected by Apple to do that because most of their hardware is no longer field repairable. For the same amount of money you pay for Apple care, Dell, HP, and Lenovo will come to you and fix it ASAP. No need to mail it in or drive a hundred miles to an Apple Store and have some “genius” tell you that he can’t repair it there and has to send it back to Apple anyway. Finally, there’s an implication that a professional’s tools will see heavy use — not abuse, as most professionals take very good care of their tools, but extended, everyday use. These tools need sufficient strength and versatility to meet all the vagaries of professional life. Therefore, thin is not as high a priority as ruggedness, reliability, and functionality (the latter point referring once again to keyboards, as well as ports and other such necessities of real life). The Apple brass lives in a world of privilege, and has no clue how real users, professional or otherwise, scratching out a living as best they can, have to function. I’m not expecting anything useful from the 2019 Mac Pro. Apple can afford to do anything it really wants to do. They just choose not to give professional users the type of hardware they want. Apple has its own personal approach to everything. Apple keeps giving professional users somewhat half-baked solutions that help Apple remain as a profitable company. Make sure that wall around the Apple Garden stays as high as possible. It’s crazy how Apple won’t allow NVidia GPUs to be used in their products. They’re actually trying to force pro users to use less capable AMD GPU hardware. What a shame. Apple doesn’t allow pro users to be able to use industry standard PCIe connectors. What kind of crap is that? Apple is always building these pro computers that can’t be upgraded by anyone. That’s downright devious of them. Apple is being absolutely ridiculous trying to sell that ancient trashcan Mac Pro for premium prices. They admitted they made a mistake and yet they’re still trying to profit from it. I like Mac products but I realize Apple is trying to make me jump through hoops in order for them to profit. I’ll jump because I like what they have to offer. Fortunately, I’m also an Apple shareholder, so some of their profits filters down to me to buy their products. Anyway, all the years I’ve owned Apple computers I’ve been quite satisfied with them, so I guess I can’t really complain even if they weren’t using cutting-edge hardware.